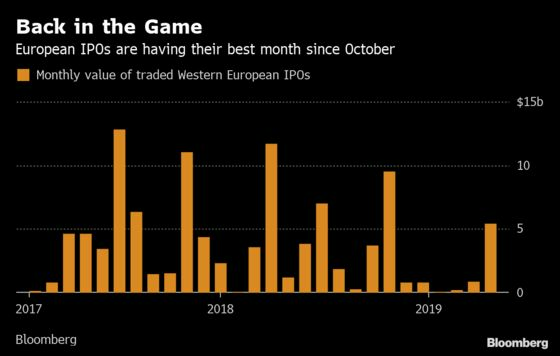 European investors had no big IPO name to trade since January. This month has been the first to see a decent size of listings, including Swiss trainmaker Stadler last Friday, which rose 13 percent on its first day of trading. At the other end of the spectrum, medical device manufacturer Medacta was less buoyant, and is now trading below its initial offering price. Tomorrow will see Italian payment-service company Nexi trade for the first time. The books were largely oversubscribed. A repeat of Adyen’s performance (~190% return since listing on June 13 last year) may be what investors are wishing for. The listing in London of Dubai-based payment service firm Network International Holdings also went well. 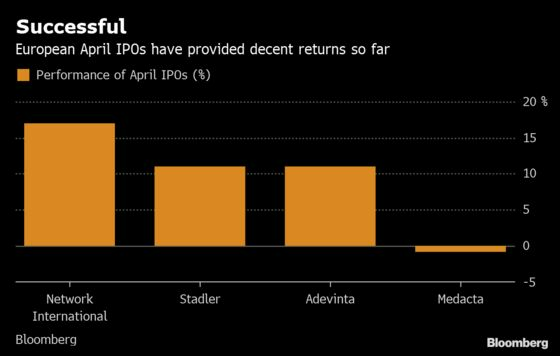 “The problem with IPOs: they come in waves and they compete with each other as well,” says Gavin Launder, a fund manager at Legal & General Investment Management. “Not just like for like, but literally, no one’s going to do all the IPOs. So Network International yes, but therefore Nexi probably not, because they’re too similar. When you get a wave of IPOs, we’re quite careful,” he says. The recent examples show the demand for IPOs is relatively buoyant. Companies and investment banks usually wait for market conditions to be good to list shares, in order to achieve the best pricing. That can haunt investors if the market turns however, or if the valuation was stretched in the first place. In the meantime, Euro Stoxx 50 futures are trading up 0.2% ahead of the open. Watch trade-sensitive stocks after Treasury Secretary Steven Mnuchin said the U.S. is open to facing “repercussions” if it doesn’t live up to its commitments in a potential trade deal with China, in a sign that the two sides are edging closer to an accord. Japan said trade tensions are among the reasons for its pessimistic outlook on the global economy and the U.S. itself faces the paradox of pushing for global growth as demand is dragged by its own policies. Watch the pound and U.K. stocks, as there is precious little sign thus far that Conservative and Labour politicians in the U.K. are finding a way towards a compromise on Brexit, leaving the pound hanging in suspended animation and Prime Minister Theresa May facing attacks from her own party. 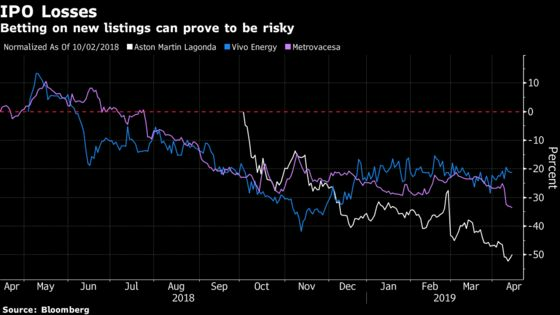 Morgan Stanley says Norsk Hydro shares are seen outperforming sector by 3-4% after Alunorte and Brazilian public prosecutors jointly petitioned a federal court to lift production embargo at the aluminum refinery. Keeps overweight, base case that Alunorte will return to full production in 2Q and production at 100% for 3Q. RBC writes the investment case for Fevertree rests on the prospects for growth outside of the U.K. and particularly in the tough-to-crack U.S. market, upping PT to 3,800p from 3,500p.